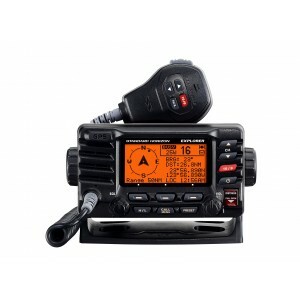 Ideal Marine VHF for mariners who wants separate AIS and GPS data 25W Marine fixed mount VHF with AIS receiver and GPS built-in Waypoint navigation and 30W loud hailer. RAM4 second station compatible. Ideal Marine VHF for mariners who wants separate AIS and GPS data 25W Marine fixed mount VHF with AIS receiver and GPS built-in Waypoint navigation and 30W loud hailer. RAM3 second station compatible. 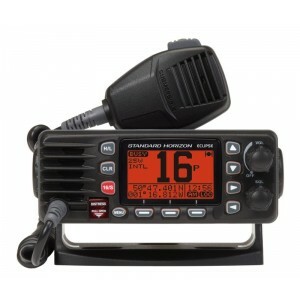 Ideal Marine VHF for mariners who already have an AIS onboard. 25W Marine fixed mount VHF with AIS receiver or transponder input, Waypoint navigation and 30W loud hailer. RAM3 second station compatible. 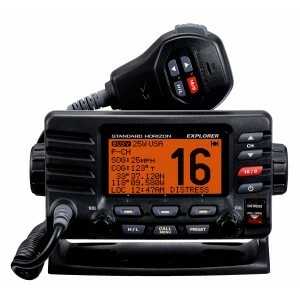 Mounting a VHF radio has never been easier. 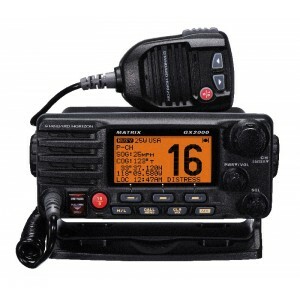 The Explorer GX1700 has an ultra thin, compact rear case, only 3.5” in depth or half the depth of comparable VHF radios on the market.